I’ve had a loop bump on the wheel for a little while now. Not too long. I find that when I spin regular top for a bit, and then go back to a loop bump, it’s a bit of a learning curve. But, when I am spinning loop stuff exclusively, it spins too beautifully. I divided this loop bump into two parts, ripping it down the middle. I then weighed the two parts, and pulled bits from them until they were an equal weight. 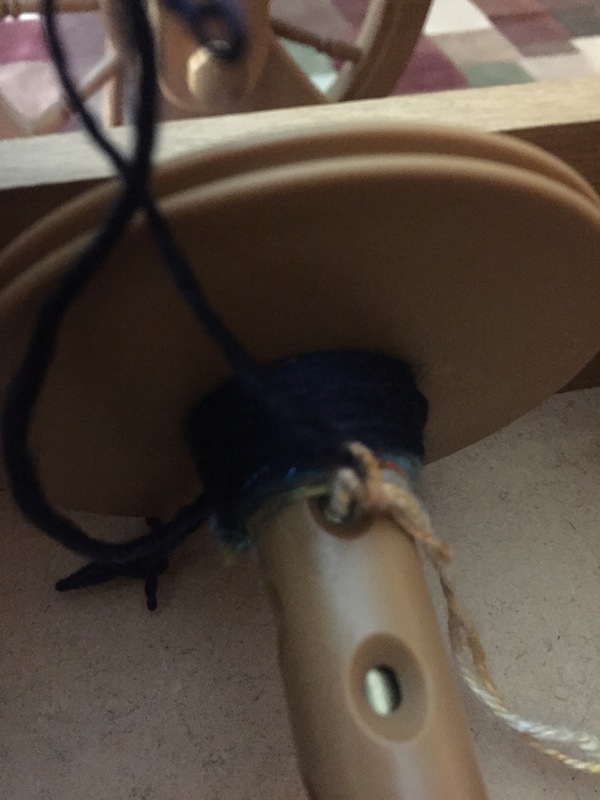 It must have worked pretty well, because once I plied, I just had the tiniest bit of extra on one bobbin. I am not sure I’ve ever gotten quite that close before. You can see the end of the shorter single with it’s leader, and the tiny bit left of the longer single. That was a fun moment! This one is thicker than usual. Over 5 ounces, 2 ply, DK weight yarn. It’s soft and squishy, as loop bumps so often are. 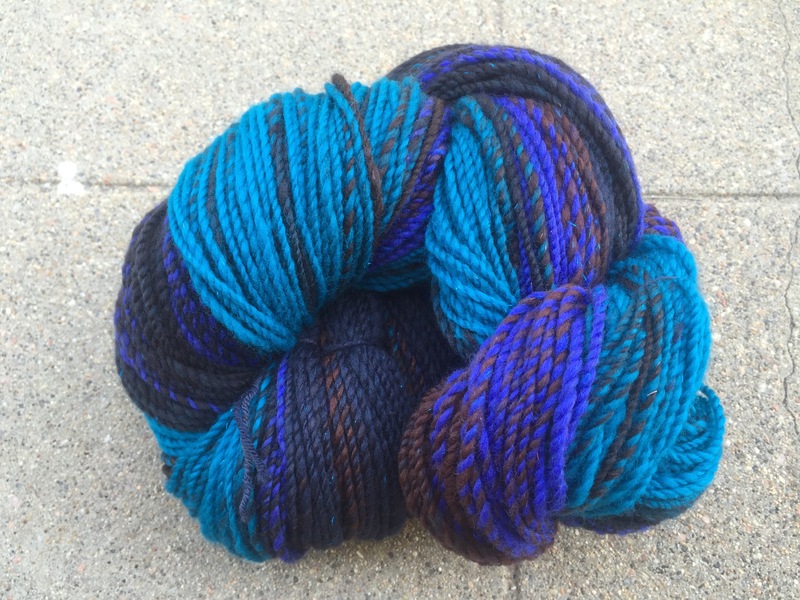 I ended up with 370 yards, which feels like a good amount to make something fun with.